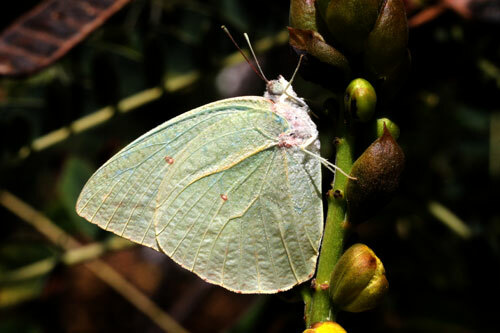 Contrary to the brimstones, Gonepetryx species, the males are pale green and the females yellow. This is a female. 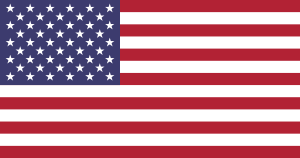 A large and powerful flier that can be seen in urban areas of the larger Canary Islands. 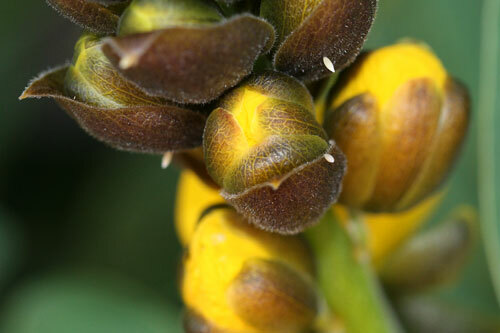 Strongly associated with its larval food plant, the very distinctive Cassia that is often used as an ornamental plant. 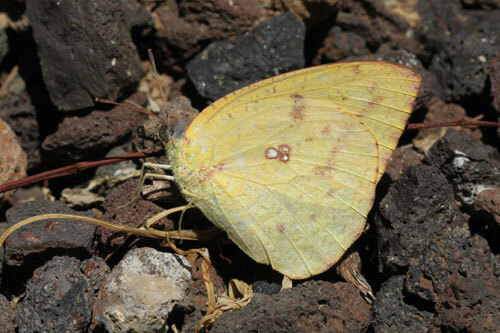 Identification & Similar species: It could be confused with the Canary Islands brimstone Gonepteryx cleobule. 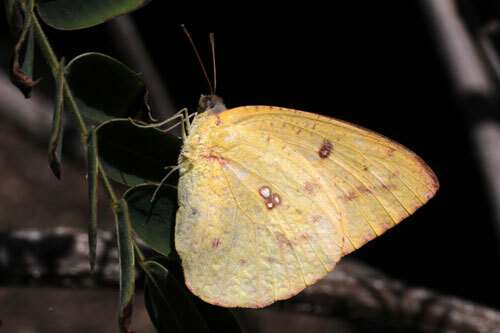 Yellow butterflies of that species have bright orange on the upperside and both sexes have hooked forewing tips and pale veins on the undersides. 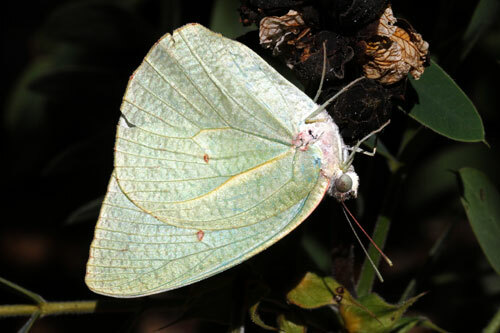 The males are pale green and the females are yellow - the reverse of what is found in the Gonepteryx genus (brimstones and cleopatras). Distribution & Flight: Established on many of the Canary Islands. 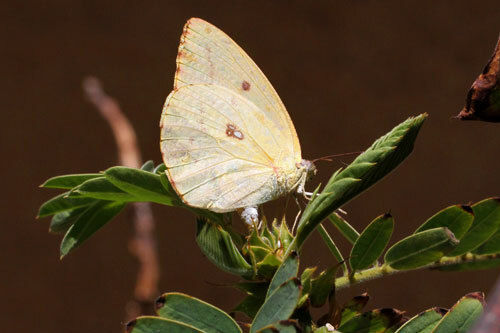 It is an occasional migrant to northern desert regions of Morocco and to Cyprus. Flies throughout the year, although less so in winter. 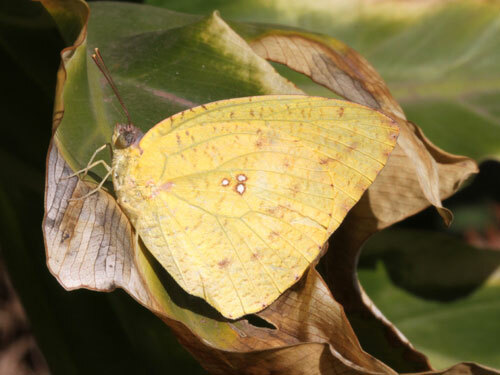 Habitat & Behaviour: Due to the distribution of its larval food plant Cassia which is used as a garden and park ornamental, it is associated with urban areas. It flies fast around its food plant and along roads and over gardens. 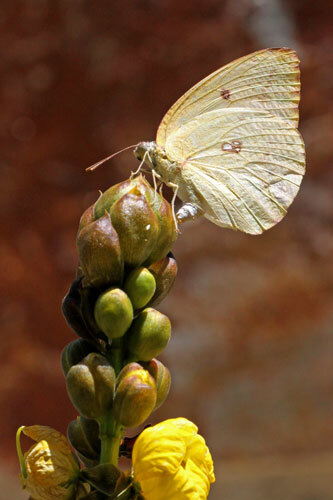 Eggs are laid on the budding flowers and less frequently on new shoots. 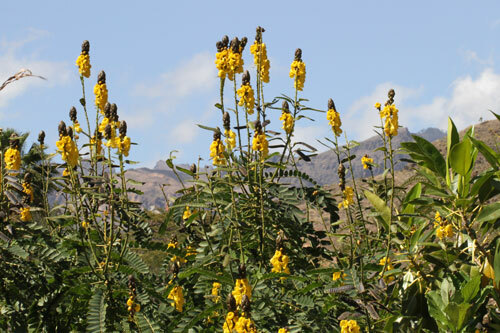 The highly distinctive larval food plant - Cassia. 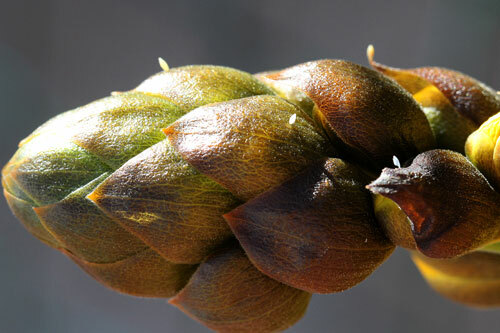 Eggs are easy to find on flower buds.